The bidet toilet seat is the attachable kind of a regular bidet. 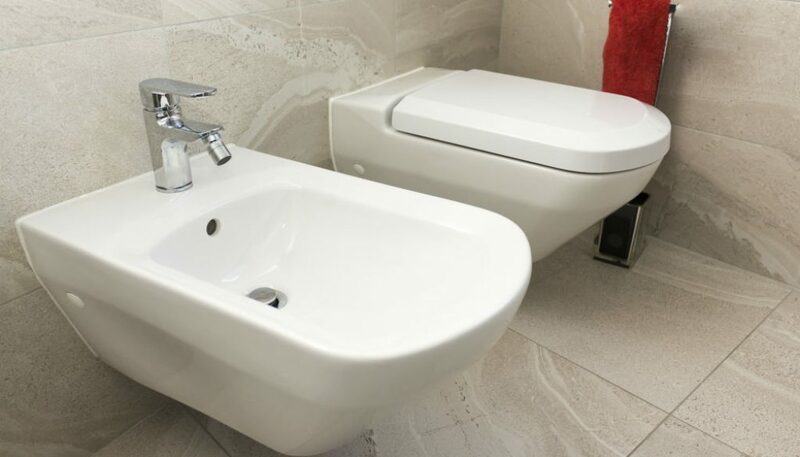 Regular bidets are often built-in, however, bidet seats can be mounted or taken off. They are typically positioned beside your toilet and it pretty much has the same design as the item; however, its main function is to wash your private parts after doing your business. Bidets clean and wash your buttocks and genital area. While it is not really meant to take the place of toilet paper, it functions to give users a cleaner and fresher feeling without the need to take a bath or shower. In this article, we are going to discuss how it works and how to install a bidet toilet seat. As soon as you have finished your business, just remain seated on it and activate the setup. The control comes with a button to switch the bidet function on. The seat is activated by means of the control panel which is fastened to the seat’s side part or through remote control. The control comes with adjustments for water temperature and nozzle position. Users can also adjust spray pressure. The nozzle elongates whenever users activate it and it pulls back as soon as users are finished making use of it. Bidet toilet seats are also capable of doing other functions apart from washing. It often comes with heated seats so users will feel more comfortable using it in cold weather. Some models also come with air dryers so you can dry yourself faster after a wash. Nozzles also include self-cleaning functions which are activated by using the toilet. Bidet seats can be used by all individuals regardless of age. This system is quite popular among senior citizens since they won’t have to move a lot when using the bidet seat and it also makes for easier cleanup. Bidet seats also assist people who have certain health conditions since it allows them to heal quicker by means of maintaining cleanliness. As a fact, bidet seats came from the concept of medical devices that are used for cleansing. This kind of setup is undoubtedly a great improvement over devices that sprayed water at angles and temperatures that are erratic. The bidet seat is one good way to give your toilet an upgrade without the need to change out the entire unit; you will save yourself the hassle of removing the toilet and mounting a brand new one. You will also save on expenses related to such procedures. Mounting a bidet seat in place is pretty straightforward. You won’t have to use complicated tools and you only need the basics like a wrench and a screwdriver. The majority of bidet seats often include the components needed to install the unit like a T-adapter, and all users need to do is mount the bidet. The package will also include the instructions. Here are the steps on how to install a bidet toilet seat. Take away the existing toilet seat. You can do so by removing the bolts on it. Link up the water resource. Shut the water supply of the toilet first by turning the valve situated next to the toilet. As soon as you shut off the water supply, you have to drain the tank of the toilet entirely by flushing it. Disconnect the tank supply hose right after. Fasten the T-valve that comes with the seat with the tank supply hose and the supply hose of the bidet seat. The T-valve will redirect water between the bidet spray and the toilet tank. The supply hose of the bidet seat will fasten to the T-valve by the side part while the tank supply hose of the toilet will fasten to the T-valve on the top part. Remember that when it comes to installing the mounting plate, this procedure will differ moderately between bidet seat models. Common ones require attaching the mounting plate to the seat to the toilet. The seat will slip on the mounting plate right after. Fasten the seat. Following this step, you can finally plug it into an electric socket and then switch the water supply on again. Make sure to inspect if the setup produces leaks. Guarantee that the supply hoses are not leaking as well. If it shows loose parts, it is required that you tighten them.